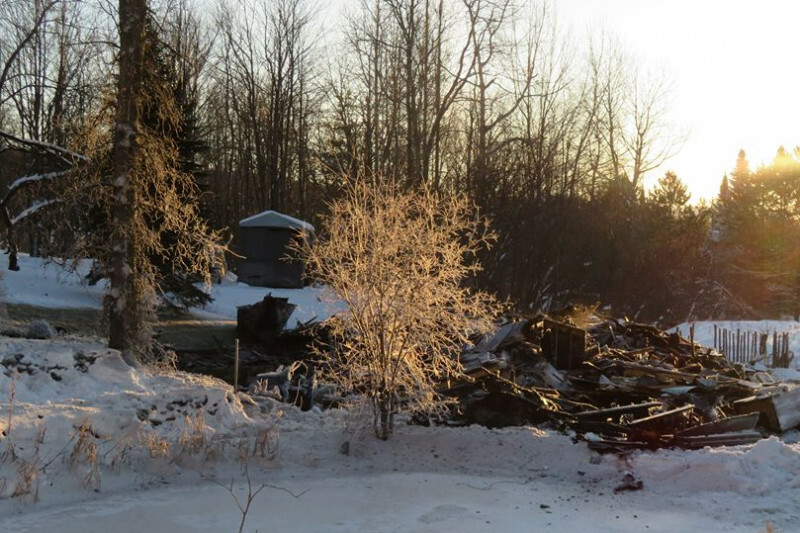 As most of you have probably heard by now there was a terrible fire in West Bolton, Quebec, Canada last night. The building was the rented residence of the mother and sister of our dear friend Rusty James. Their home burnt to the ground and they have lost everything. Unfortunately Rusty's mother suffered smoke inhalation and because she underwent heart surgery 9 days ago the doctors have had to induce her into a coma to prevent coughing which would damage the stitches she has from surgery. I have spoken to Rusty several times since yesterday and he needs our help. Clothing and household items will be needed but he respectfully asks that donations of the sort are held off on for the time being as he has not had a chance to address what the immediate needs are and he doesn't currently have anywhere to store them. Funds are being withdrawn by Rusty himself so his mother and sister can purchase household items, food, clothing, furniture and more that they need to set up their new home. Thank you for your generosity in this very difficult time for their family. The family will need to start looking for appliances, furniture, household items, etc. They still do not have a new residence so if you have anything you can offer, if you could hold on to it until they do that would be great or I can arrange storage. Thank you so much everyone for all of your support, it is very much appreciated by the family!